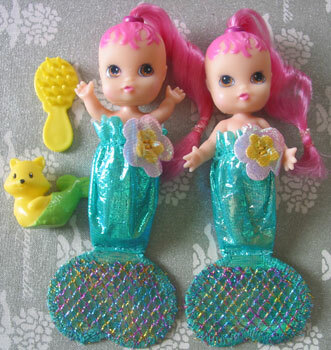 There were six Floral Merbabies produced. 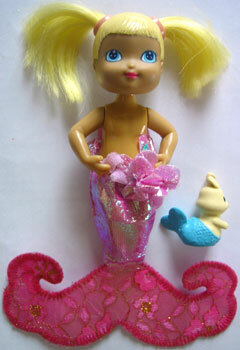 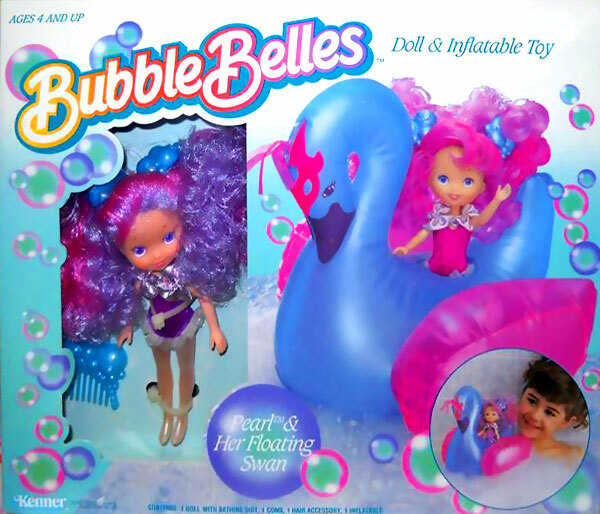 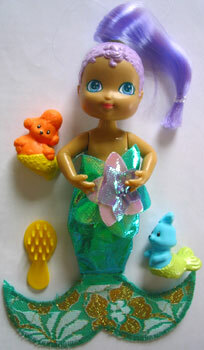 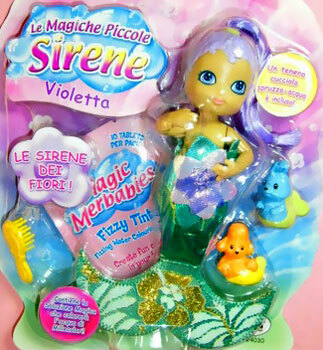 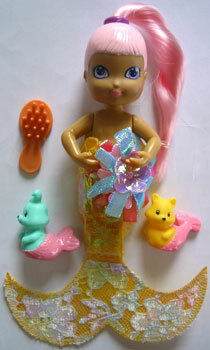 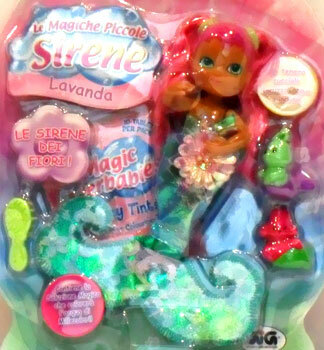 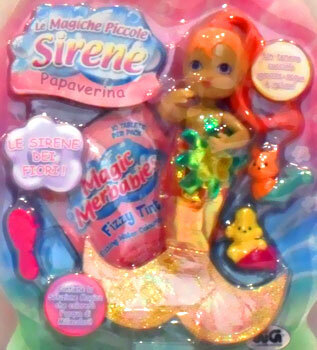 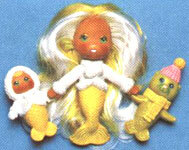 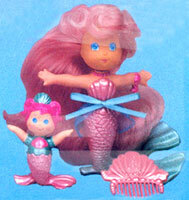 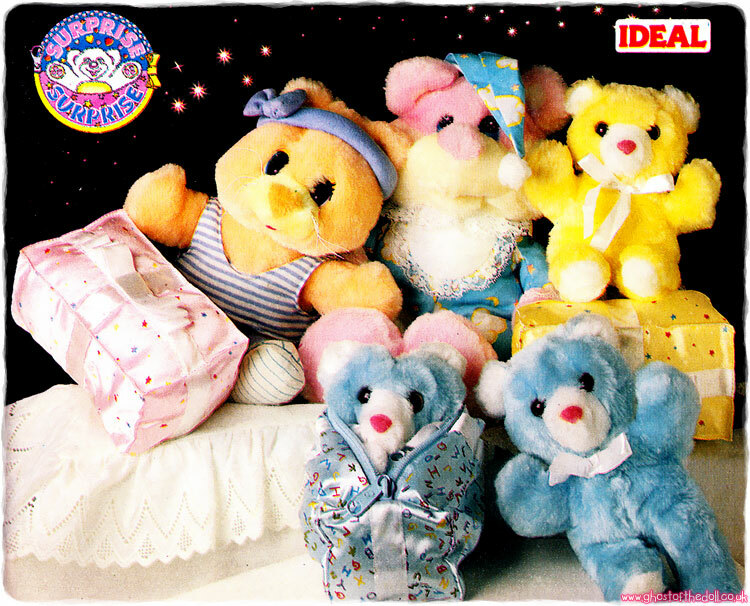 Each doll had a floral name and came with two Mer-Pets each, a packet of Fizzy Tints and a brush too. 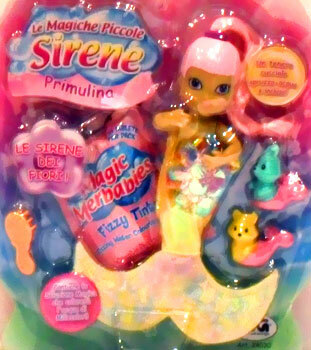 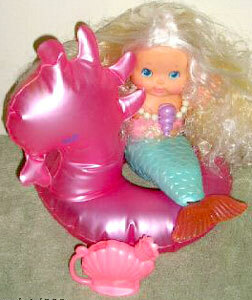 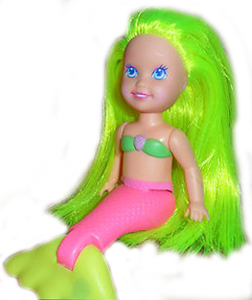 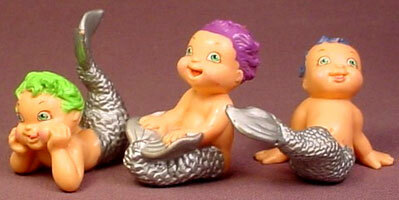 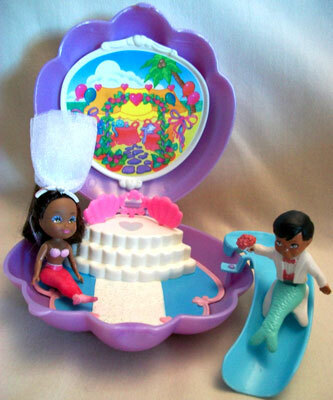 The Mer-pets were smaller than the original ones and didn't have names. 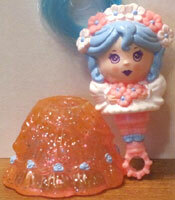 The moulds were also repeated although the colours changed. 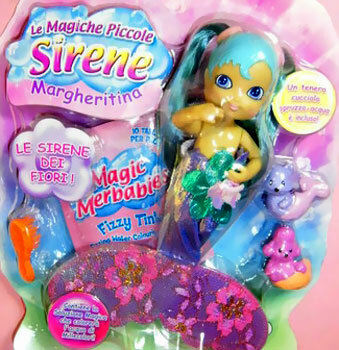 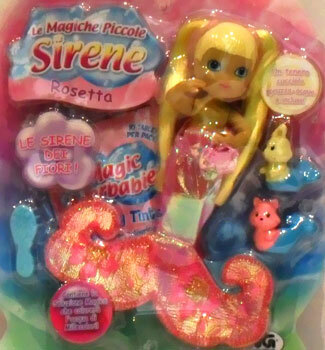 The packaging image below shows their Italian names.